Guest Services | Dallas ZooHoo! 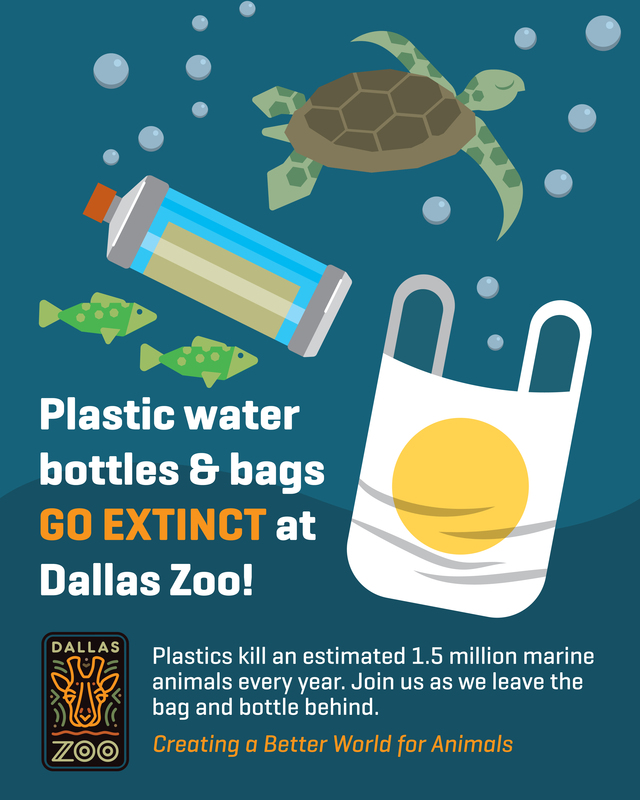 The Dallas Zoo is leaving the plastic bag and water bottle behind. 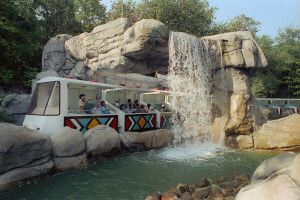 In lieu of plastic, guests are encouraged to purchase canned water at all concession stands and restaurants, and use reusable bags for any Zoofari Market gift shop purchases. Our sustainable approach means more than 113,000 plastic water bottles and 95,000 plastic bags will be saved from entering landfills and the environment each year. It’s estimated that plastic pollution kills 1.5 million marine animals annually, including one million seabirds and 100,000 marine mammals, like dolphins, manatees, and seals. The move to cut plastics comes with much-needed support from our food, beverage and retail partner, Service Systems Associates, Inc. The zoo has 60 recycling bins scattered across the 106-acre park for guests to use. We also encourage guests who shop in the Zoofari Market gift shop to bring their own reusable bag, or buy a reusable bag from the gift shop, or simply decline the use of a bag. The Dallas Zoo welcomes all Pokémon trainers. We want you to have a fun and especially safe time while looking for the elusive Pikachu or fighting to take over the giraffe statue gym for Team Mystic. Never, ever cross a barrier or enter animal habitats. Even the strongest Pokémon won’t stand a chance against our animals. For your safety, don’t wander into unauthorized areas or head behind-the-scenes. Stay alert and watch your step, particularly on stairs and pathways. We want all visitors and Pokémon trainers to have a safe experience. We have private security staff and uniformed Dallas Police officers on grounds at all times. And contact any Zoo staff member if you need assistance. Be nice and respect other guests. We have lots of little guests, so please watch where you’re going. Other guests won’t be here to play Pokémon Go, so be courteous and respectful to them. Stay hydrated and take care of yourself. Visit our air-conditioned Guest Services building near Lemur Lookout if you need to take a breather or receive some medical attention. Don’t venture onto Zoo grounds when we’re closed. Our security team is here 24/7 to keep an eye on things. 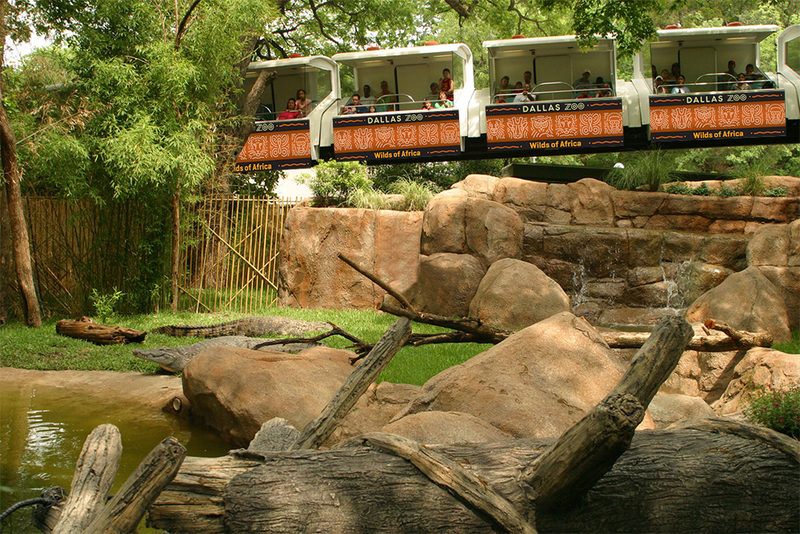 Our gates are open from 9 a.m. to 5 p.m. every day, which is plenty of time to chase those animated critters. Don’t park on the frontage road. Please don’t pull over on the highway frontage road to battle in the gym at the giraffe statue. Instead, pull into the parking lot and take a short walk to our majestic statue-turned-gym. Keep your smartphone batteries charged by visiting our NRG Street Charge® stations at our Lacerte Family Children’s Zoo and Wilds of Africa Grill. The Prime Meridian Café is a great place to cool off and have a snack. One corner of the dining area is within range of three Pokéstops. 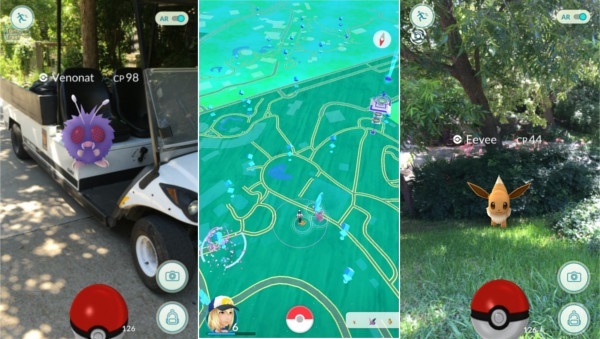 There are more than 30 Pokéstops across Zoo grounds and three gyms. Hop on the Wilds of Africa Adventure Safari monorail to log some distance, see some Zoo grounds not accessible by foot and maybe find a Pokémon in the African sub-Saharan. Visit in the mid-morning for the best chance of finding some active lures. That’s when we have the most guests flowing in and starting to roam. And something else really important: look up! Pokémon aren’t the only creatures worth caring about. Turn on the vibration mode, slip the phone in your pocket and take a moment to appreciate the real animals around you. Have fun, good luck and be sure to share your photos with us on social media! 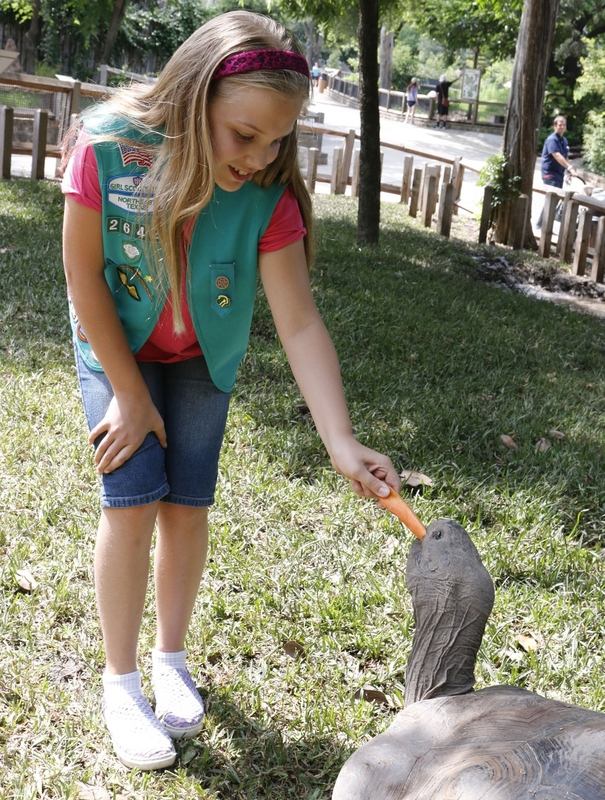 Tag your photos with #DallasPokeZoo and we’ll share some of our favorites. 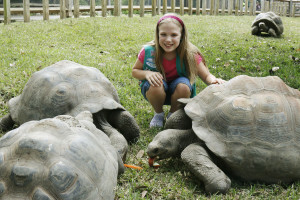 10-year-old Gracie Wakefield saves our tortoise from ingesting water bottle. A day spent at the zoo is a privilege, time well-spent in the presence of majestic, threatened and endangered animals who deserve our respect, compassion and conservation. The recent actions of 10-year-old Gracie Wakefield of Garland, Texas, show that she feels the same way. A normal Dallas Zoo day for the proud Girl Scout of Northeast Texas and her mom, Cindi, turned into a rescue mission when Gracie discovered a Galapagos tortoise eating a plastic water bottle. Several small pieces of plastic were removed from the tortoise’s mouth. Reptile keeper Shana Fredlake says trash dropped by guests or blown into the Zoo gets into the wrong mouths too often. “Every day, I’m picking up plastic spoons, chip bags, water bottles, you name it,” she said. And on a few occasions, our vets have had to remove foreign objects. “It’s terrible for their intestines because this stuff doesn’t break down,” Fredlake said. 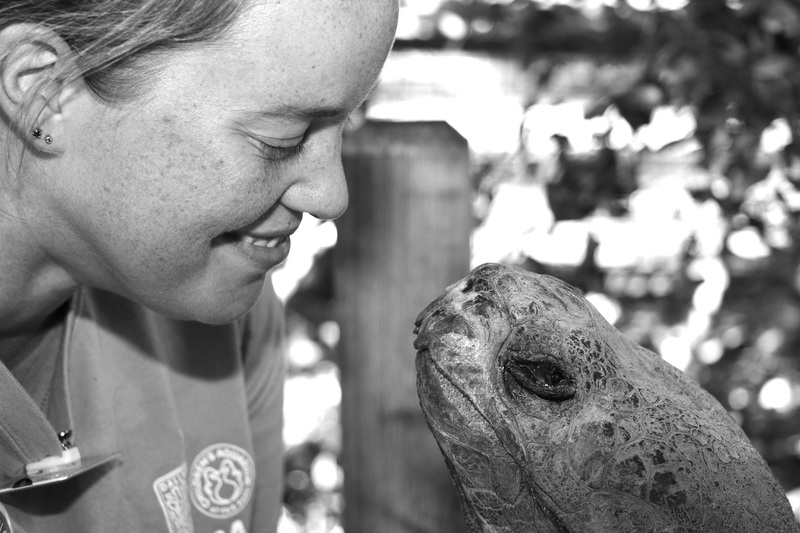 Reptile keeper Shana Fredlake says picking up garbage from the tortoise habitat is an every day task. We’re extremely thankful for Gracie’s quick response, and we hope all children are such good stewards of our environment and protectors of our animal kingdom. Given how busy we are, anywhere from 10 to 40 park services staffers work daily to keep our 106-acre park clean. 182 trash and recycle receptacles are placed throughout the zoo, ready to welcome your waste. “Please don’t litter” reminders can be found throughout the park. And another friendly reminder resides on your zoo map – so don’t let that become litter, either! 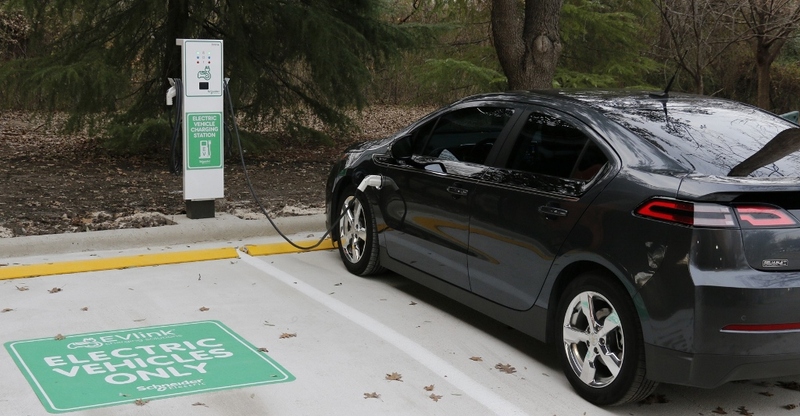 Thanks to Schneider Electric, the Dallas Zoo is now providing guests a place to charge their electric vehicles (EV) for free. Dallas Zoo’s new EV charging station charges first electric vehicle. With the installation of the donated EV charging station by Schneider Electric, we are deepening our commitment to sustainability, which is a core part of our conservation and education mission. The Dallas Zoo is on the leading edge of green initiatives with massive composting efforts, rainwater collection sites, animal and restaurant gardens and more. These EV charging stations represent another impactful sustainability enterprise, and have met a major guest and member request. Schneider Electric’s installation is the latest in an ongoing effort to make EV charging stations more accessible to communities across the country to encourage greater EV adoption. The level 2 chargers are located near the Zoo’s marquee entrance… and again, charges are FREE!